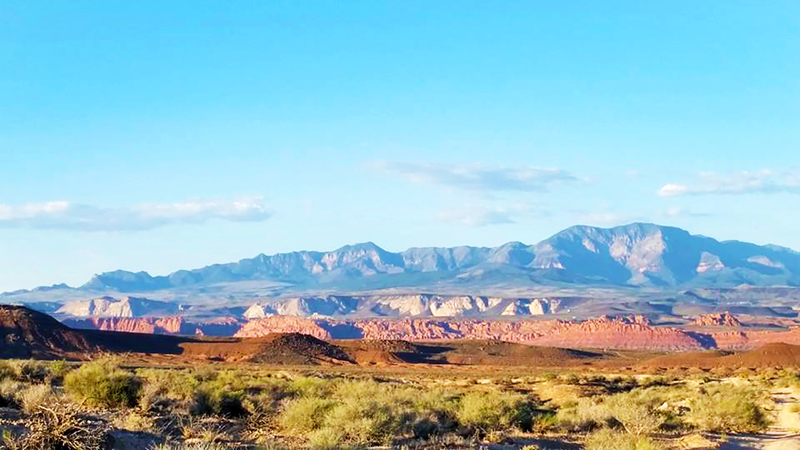 FEATURE — Let’s get back to St. George’s roots of mountain biking: the Green Valley Loop and surrounding area. 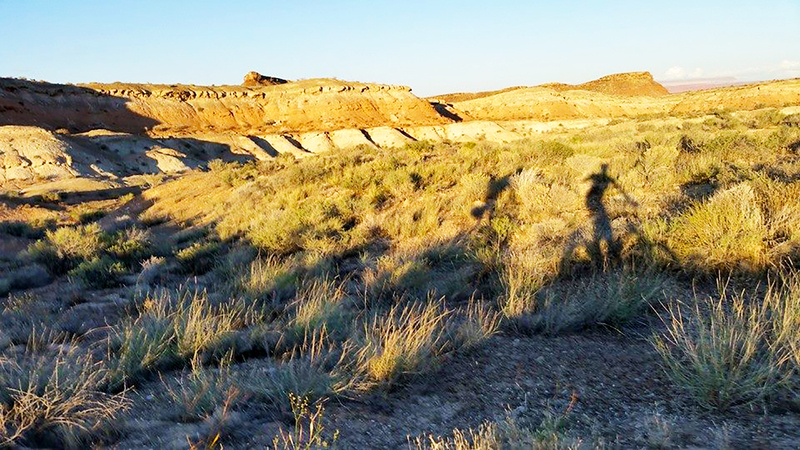 One of the earliest well-known trails in the area, the Green Valley Loop is still a favorite. From trailheads located atop Canyon View Drive in the Green Valley area of St. George and at the end of Navajo Drive in the Bloomington neighborhood of St. George, “The Loop” as it’s also vaguely called, (and confusingly so since it’s more of an out-and-back unless you add pavement miles), is a gateway to many other trails within and outside the Bear Claw Poppy Reserve including Stucki Springs, Barrel Roll and the Green Valley Competition Area. 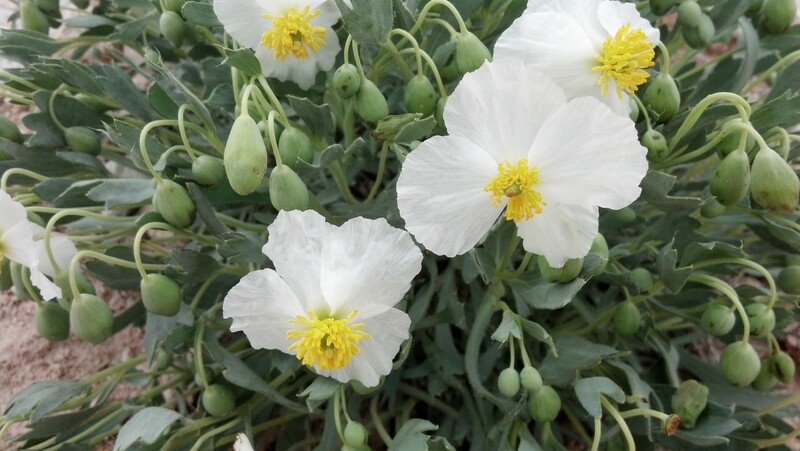 The Bear Claw Poppy is named after a pretty white-flowered plant that is endangered and protected. Riding in this area is a privilege, so please stick to existing trails to help preserve the beauty of the area. One reason for the popularity of this area is its appeal to beginners and experts alike. An easier short loop starts at the end of Navajo Drive. After the first left turn, stick close to the fence line and follow the trail into a shallow climb up a wash (great warm-up) to the junction of Stucki Springs (about 2.5 miles in and signed). Take a right to the bottom of Clavicle Hill and ride a fast and twisty roller coaster ride back to Navajo Drive for about a five-mile loop. The more advanced rider will want to hook into other trails or head up or around Clavicle Hill onto the Acid Drops, then up Three Fingers of Death – trail names that demand respect – to the Green Valley water tank for a 10 mile out-and-back (or more if you add trails like Zen or others in the competition area). Boogie-ing back down the Green Valley Loop is one of the great joys in life! Many have ridden it over a thousand times and the chatter with friends at the bottom often includes, “that was so fun!” It’s a trail full of great corners, fast hard packed dirt, kickers for those air-inclined, and g-out washes where momentum is your friend to get smoothly up the other side. It’s a trail that you make as hard or easy as you want depending on whether you push hard or just spin easy. This is one of the most used trails in the area so keep your head up and watch for other riders and hikers, and show some courtesy when passing. There’s plenty of opportunities to re-accelerate and up the fun factor. Another word of caution, this trail often gets “loved to death.” If it has rained within a couple of days, or if the temperatures drop below freezing and then thaws, the trail, especially from the Acid Drops down to Navajo Drive (which is mostly clay), turns to a gooey mess that is not only no fun to ride through, but when it dries, turns rock hard keeping ruts and footprints solid for sometimes years to come, so if you’re not sure of conditions please contact local bike shops for advice on where to ride. 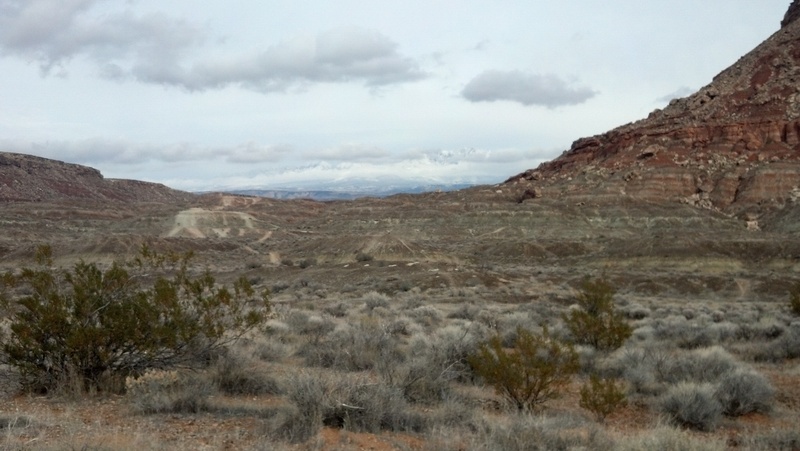 St. George is lucky to have trails like the Green Valley Loop right in our backyard. It’s definitely one not to be missed whether you’re a beginner or a pro. If you’re an old timer who’s ignored it for a while because you’ve ridden it so many times, go back and give it a visit. It guarantees smiles. Go ahead … go for a pedal! Written by Jay Bartlett for St. George Health & Wellness Magazine and St. George News. 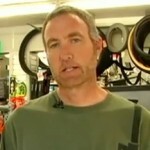 Bartlett is an avid mountain biker currently working as a mechanic and salesman at Bicycles Unlimited. He has extensive experience with all the local trails and offers a wealth of information.